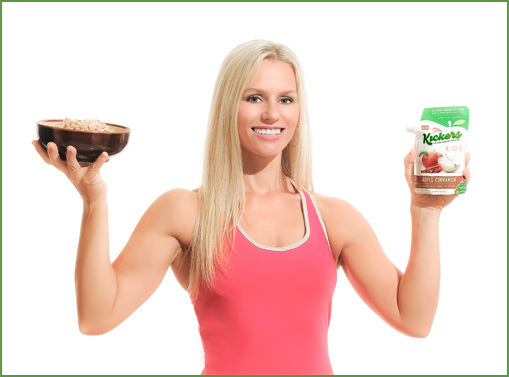 Kickers® is an all natural sweetener, dessert topping and ready-to-eat powdered fruit based snack that transforms your favorite foods and beverages with delicious combinations of real antioxidant rich fruit, spices, and other 100% natural, Gluten-Free, NON-GMO, OU Kosher ingredients. There are many everyday foods and drinks you can sprinkle Kickers on. They're perfect for adding to baking mixes and make a better-for-you portable ready to eat candy-snack option. We suggest a serving size of just 1 teaspoon but you can add more or less per your preference. Either way, get ready for a burst of flavor that will make your taste buds come to life. Please email us at info@tastekickers.com and let us know your favorite, unique Kickers recipe ideas so we can share them with others!